Homes are getting smarter. According to ABI Research, the number of residences with at least one smart home device is projected to increase to 280 million over the next four years as connected technologies unlock new ways for consumers to simplify their daily lives. This shift toward connected living is especially exciting when it comes to the place where we spend approximately 60 percent of our waking hours at home: the kitchen. 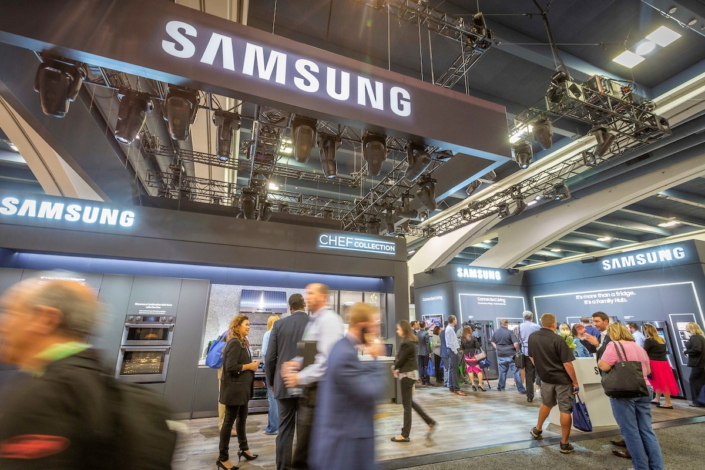 Samsung Electronics showcased its leadership in connected-living technologies at the Pacific Coast Builders Conference (PCBC) in San Francisco from June 27 to 28. On display at the Samsung booth was a lineup of innovative built-in home appliances from its Chef Collection line and Dacor’s Modernist Collection, alongside cooking demonstrations that highlighted how to get the most out of your culinary adventures in the kitchen. Samsung’s Chef Collection integrates sophisticated technology with elegant design, in styles that are sophisticated yet simple, bringing the atmosphere of the professional kitchen into the home. 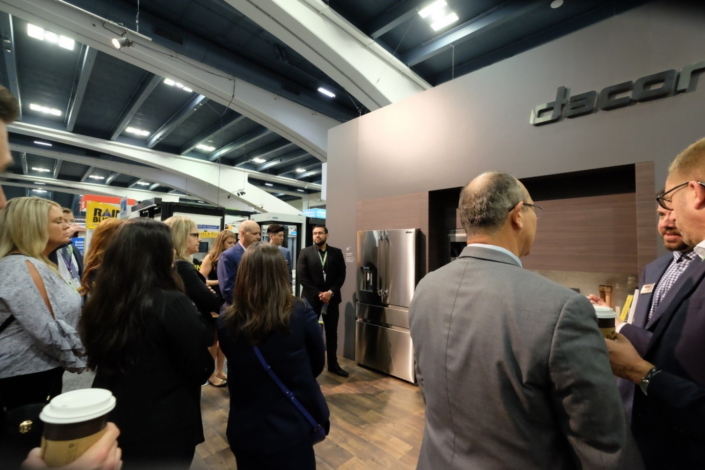 This year at PCBC, Samsung is launching new appliances which signal the company’s commitment to the premium appliance category, where the 36” size is the standard. The Chef Collection 36” Gas Pro Range has a refined look that features an edge to edge grate with bigger, illuminated knobs for better grip, and an easy-to-use interface. Samsung also debuted the Chef Collection 36” Gas Pro Range, the Chef Collection 36” Duel Fuel Pro Range, and the matching Chef Collection 36” Canopy Pro Range Hood. These appliances expand the choices available on the market to help builders and consumers design kitchens customized to their unique needs. Other innovations from Chef Collection include flattering LED Frame Lighting in the refrigerator, Virtual Flame on the induction cooktop and digital and analog controls on the wall ovens that all allow you to see at a glance the exact state and status of your appliances. To heighten flexibility, the refrigerator’s Flex Zone™ converts from fridge to freezer with four temperature settings, and the Chef Collection Flex Duo™ Oven has a smart divider that splits a single oven compartment into two so that users can cook multiple dishes at different temperatures. Connectivity is the cornerstone of modern homes. 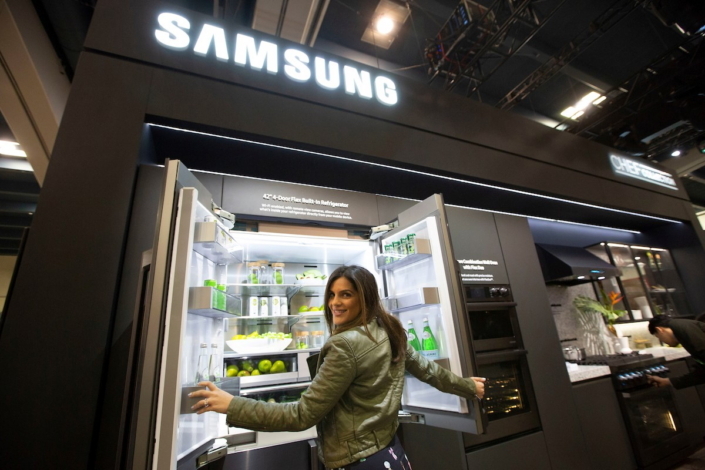 With the Family Hub refrigerator, Samsung has transformed the heart of the home, the kitchen, into a place to connect with loved ones near and far. You are never far from home when you can send photos directly to your loved ones on the refrigerator’s 21.5-inch digital screen. Mirroring your favorite TV show on the Family Hub’s screen allows you to move from family room to kitchen without missing a moment. You can even use the screen to see who is at your front door with the Ring app. What’s more, Wi-Fi or Bluetooth capabilities in all appliances give you connected control from wherever you are via your smartphone. 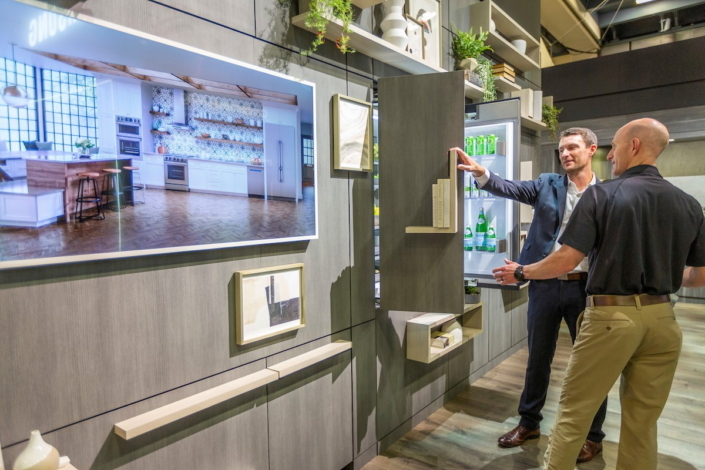 Creating built-in appliances that are easy for builders to incorporate into their vision, Samsung has partnered with real estate investors, home builders and kitchen designers to bring even greater value to homeowners. As the newest generation of home buyers are looking for premium designs integrated with technology, Samsung’s strategic partnerships with Cortland Partners and Medallion Home will offer a broad portfolio of premium built-in appliances. In partnership with Cortland Partners, a global residential real estate investment and management firm, Samsung home appliances will be integrated into thousands of apartment homes in the U.S. Offering the integration of home appliances ranging from entry to premium packages, Samsung and Cortland Partners will be able to cater to the design and technology the homeowners are looking for. 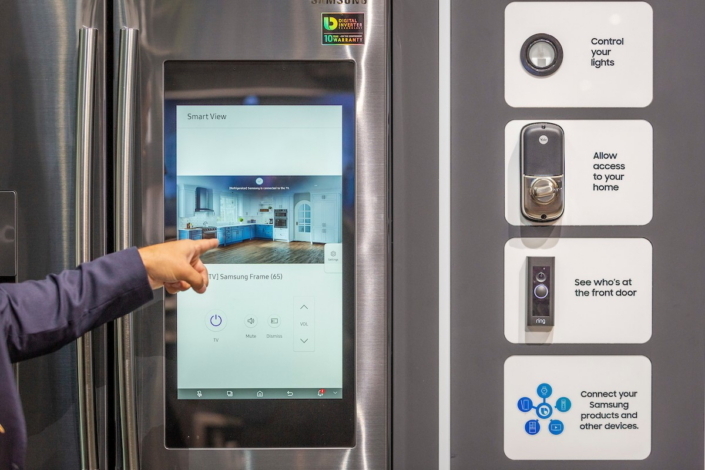 Samsung is partnering with a leading home builder in central and southwest Florida, Medallion Home, to provide homes with appliances that integrates technology. Medallion Homes will now feature custom-designed homes with premium built-in appliances, which includes the Chef Collection line.